This was a look taken last week that I was unable to post before my mini vacay to the wine country.The weather is warming up and that means summer fabrics are coming out- light cotton and luxe linens. I'm usually not inclined to wear long sweaters, since I am only 5'3, but this color was too amazing to pass up. The sweater is entirely linen, which feels amazing on the skin and will be great on a cooler summer evening. 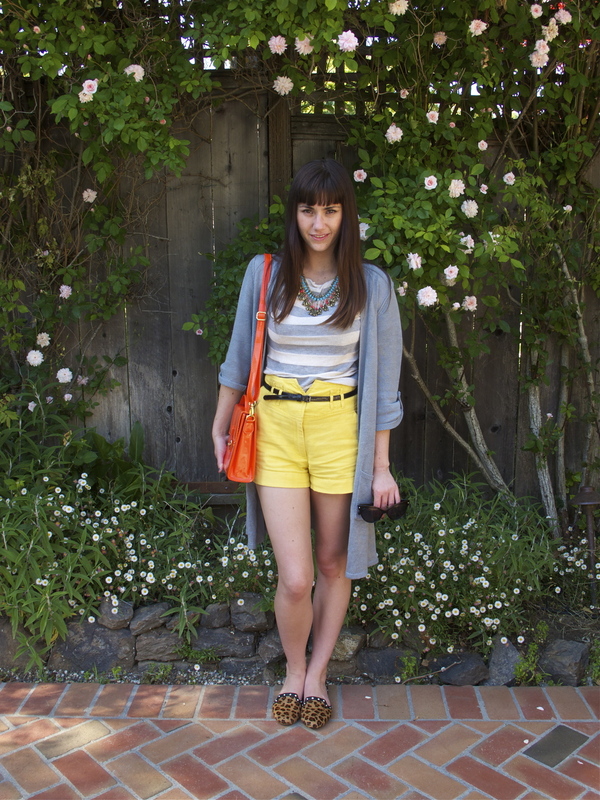 Its duck egg color also looks super fabulous against the bright yellow shorts. 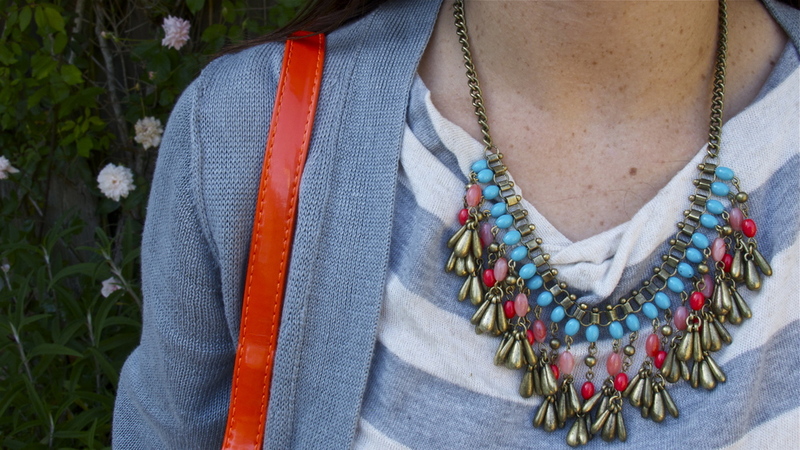 The neutrals on my top anchored down the various colors. I am still dying over my new leopard print shoes. A complete impulse (non-guilt) purchase last week. I can already foresee how thrashed these shoes will be in about three months.